Many people in Surbiton looking to refurbish or refresh their kitchen wonder why glass splashbacks are so popular. Glass is commonly seen as being very fragile, so it may seem like an unusual choice for a kitchen. 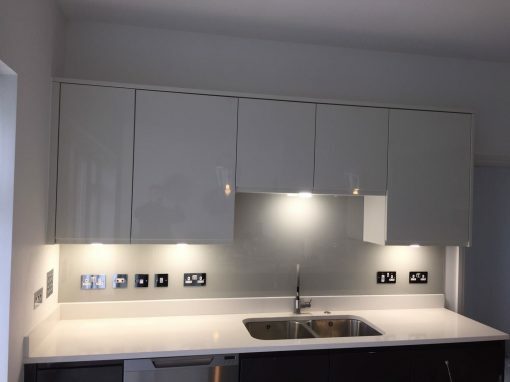 However, contrary to popular belief, glass is not as delicate as you might think, meaning it is actually a very sensible choice for your Surbiton kitchen splashbacks or even worktops. 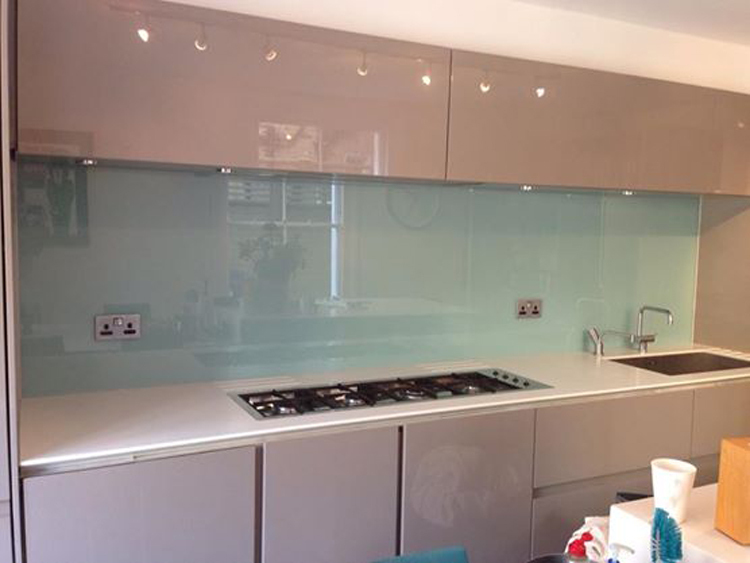 One of the reasons for the increasing popularity of glass splashbacks is their aesthetic finish. 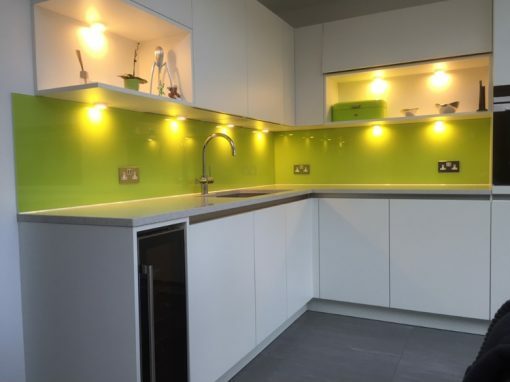 Glass has natural light-reflecting properties which can create a beautiful coloured glow that reflects outwards into the whole room, filling your Surbiton kitchen with light and colour. Depending on your style and preferences, your glass kitchen splashbacks could create a splash with bold colours, or add soft and subtle shades to deliver a more muted effect. 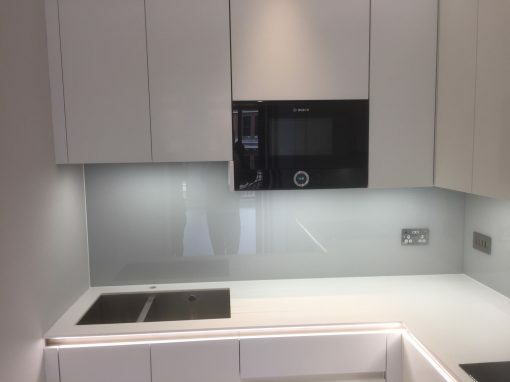 Another reason for choosing glass splashbacks for your Surbiton kitchen is that glass doesn’t stain very easily. Things like curry, spices, lemon juice or vinegar, that would damage many other surfaces, don’t harm glass splashbacks, and so they are very long-lasting. This can be ideal for a Surbiton home owner with a busy life who doesn’t have a lot of time for cleaning and maintenance in the kitchen. 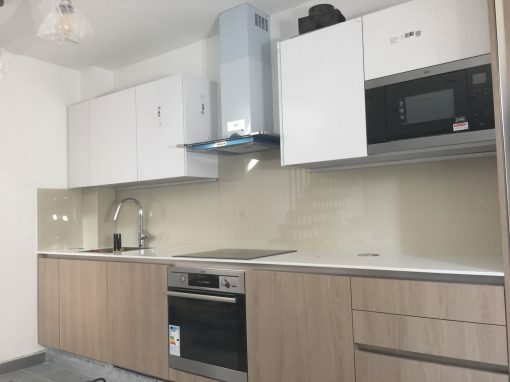 Lastly, glass kitchen splashbacks are made from toughened glass, meaning they can stand up to the pressure put on them by utensils, cutting, chopping, kneading and heat. This means that any Surbiton homeowner looking to update their kitchen should consider glass splashbacks. To find out more about any of our glazing services, please contact us today. Please read our GDPR information here.